At the moment, Prawn are an in-between band. In-between a UK/European tour that ended late last month and the band’s upcoming East Coast/Midwest tour, the band are releasing “Ships,” which is something between an EP and an LP depending on how you define a six-track record. And most importantly, the new album has found a comfortable medium in-between obvious outside influences and Prawn’s own innovations in sound. After a dreamy intro with distorted voice samples on “Costa Rica,” Prawn fold out “Grass and Bones,” where innocent lyrics reflecting on a breakup (“Will you remember those late night walks? Will you recognize me in 20 years?”) tactfully avoid the distractions of rhyme and strict form, letting the guitar pairing take on the responsibility. The most immediate intro on the album is with “Donald Domesky” (for which the band just released a video), whose mesmerizing simplicity of repetition and counterpoint between two guitars is broken by this amazing little moment of light-shaken cymbals and handclaps. 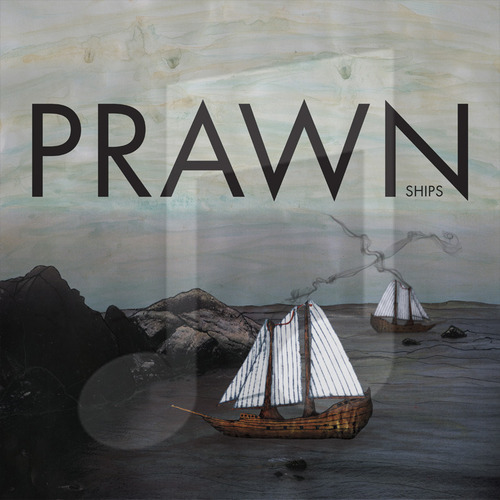 “Spring River” adds another “in-between” moment for Prawn as the most dual-sided track on the record; vocals are at points androgynous – certain lines could either be singer/guitarist Tony Clark’s high notes just as easily as they could be the female guest vocalist on the track – and the song splits when its triple meter turns to duple. “Praxis” has similar gender-mixing vocals that eventually ditch the lyrics and take over with gentle chanting alongside some poignant percussion. Rounding off the record is “Two Ships,” which has some of the most blatant Explosions in the Sky influence. Those characteristically frantic riffs and a time change are rounded out, however, by the band’s subtleties on this track, like a brief bass solo or the echo of a finger sliding down the fret. Clark has on more than one occasion credited Explosions as a major influence on his work, a connection especially heard on Prawn’s last release “You Can Just Leave It All.” While “Ships” stays within the community of bands like Snowing and label-mates CSTVT, a sometimes overbearing need to compare to Explosions on previous albums has this time been replaced by a calmer use of Prawn’s musical guides. 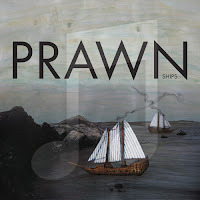 We still get that guitar-lead layering of sound typical of the style, but now Prawn are beautifully in-between being defined by the genre, and becoming one of its definers. “Ships” is out now through Topshelf Records.